Analysts have warned for years that India risks being isolated from global trade negotiations because its stalling tactics in the World Trade Organization (WTO) have caused Western powers to lose interest in that organisation. Instead, they have shifted to bilateral deals and negotiations on two mega-trade pacts that will cut out India, China and most developing countries. The Trans-Pacific Partnership (TPP) has already been negotiated by countries on both sides of the Pacific Ocean, and awaits ratification. The Transatlantic Trade and Investment Partnership (TTIP) aims at a similar mega-deal between North America and Europe. The danger is that these two pacts could create a new global trade framework that excludes India and most developing countries. That danger has suddenly receded. Several years of slow economic growth in the West have created an anti-globalisation backlash. This has manifested itself in Brexit, the rise of Donald Trump in US politics, and anti-immigrant movements in many Western countries. After seven years of negotiation, US President Barack Obama concluded the TPP agreement in February this year. Yet, opposition within the US has made TPP look a dead duck. The US Congress shows no interest in ratifying it. Donald Trump says that if elected, he will trash TPP. Even Hillary Clinton, who helped design TPP and was its staunch advocate, now panders to voters by saying she will demand extensive changes. This has dismayed TPP partners who thought they had sacrificed a lot to clinch the deal. Why should they sacrifice any more if US presidents cannot deliver what they negotiate? The TTIP has lagged behind the TPP, and anti-globalisation has eroded support for it on both sides of the Atlantic. Economic stagnation typically leads populist politicians to blame foreigners and minorities. Sky-high tariffs imposed during the Great Depression of the 1930s were brought down in seven rounds of General Agreement on Tariffs and Trade (Gatt) negotiations after World War 2. Being poor, most developing countries were allowed to offer very modest tariff cuts themselves while enjoying the big cuts of the West. But after 1995, developing countries — especially China — had become important traders, and so were obliged to participate in substantial tariff cuts and new rules on intellectual property rights (IPRs). Earlier, a small group of rich countries would take decisions in WTO and others would go along. But after 1995, when reciprocity became mandatory for developing countries, India and others began exercising their veto power. New Delhi wanted skyhigh tariffs to protect its small farmers — one major reason why the Doha Round failed. Disgusted with a moribund WTO, the US switched to bilateral trade agreements to liberalise trade and toughen IPRs, bypassing the WTO. It also opted for mega-trade deals across the Pacific and Atlantic to bypass the WTO, making it largely irrelevant. This will harm Indian interests. India has extensively used the dispute settlement mechanism of the WTO, winning many trade disputes with the US. India has also lost some trade disputes. On balance, it has gained greatly from rule-based trade under the WTO, against the earlier situation where the US Congress could unilaterally impose trade restrictions and sanctions. To counter the TPP, 10 countries from the Association of Southeast Asian Nations (Asean) plus six countries with which the Asean had free trade agreements — China, India, Japan, South Korea, Australia and New Zealand — have begun negotiating a Regional Comprehensive Economic Partnership (RCEP). However, most members of this group do not share India’s instinctive protectionism, or fear of Chinese exports. Some RCEP members like Japan and Australia are already members of TPP, which has far tougher rules on IPR than India finds acceptable. India is out of sync with the RCEP and an embarrassment to it. India wants to be called a potential superpower and get a seat in the UN Security Council. This sits ill with its old habit of wanting exemption from standard rules because it is poor. Other once-instinctively protectionist countries like Japan, South Korea and Thailand have over the years moved toward freer trade and tougher IPRs. India needs to do the same, even while fighting IPR excesses. The TPP and the TTIP are stalled today, but will come alive again when world growth and trade recover. India has a breathing space of 5-10 years to prepare for a new approach to global trade negotiations, worthy of a 21st-century trading power. 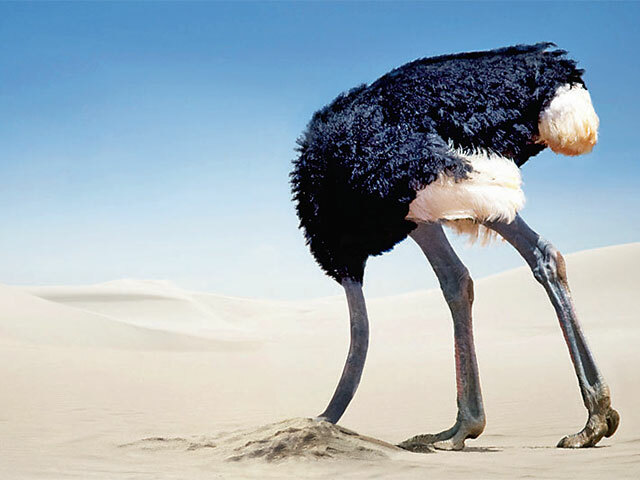 It cannot bury its head in the sand. India needs to introspect and find ways to shake off its historical approach of instinctive protectionism, which could be glossed over when it was a low-income country but not now when it is a middle-income country aspiring to become a world power. The government should appoint a high-powered committee to chalk out a new trade strategy for the 21st century. It can be headed by Niti Aayog chief Arvind Panagariya, a globally respected trade economist. This will have to work out ways for India to shift its positions on agricultural tariffs, IPRs and environmental and labour standards. India is not competitive in cheap labour products, but is competitive in brain-intensive industries like software and pharmaceuticals, and will become increasingly so. Its brain-intensive future requires a carefully calibrated shift in its attitude to IPRs.